There’s nothing we love more than a grip-n-grin photo with a trophy fish! 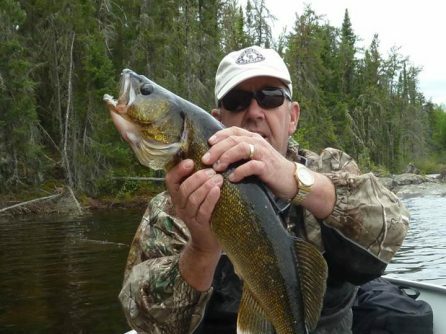 Early in the season in 2014, Terry Blevens and his group had great success out at beautiful Onepine Lake. They released 2-35″ Northerns, and a 38″ and 41″ Northern. 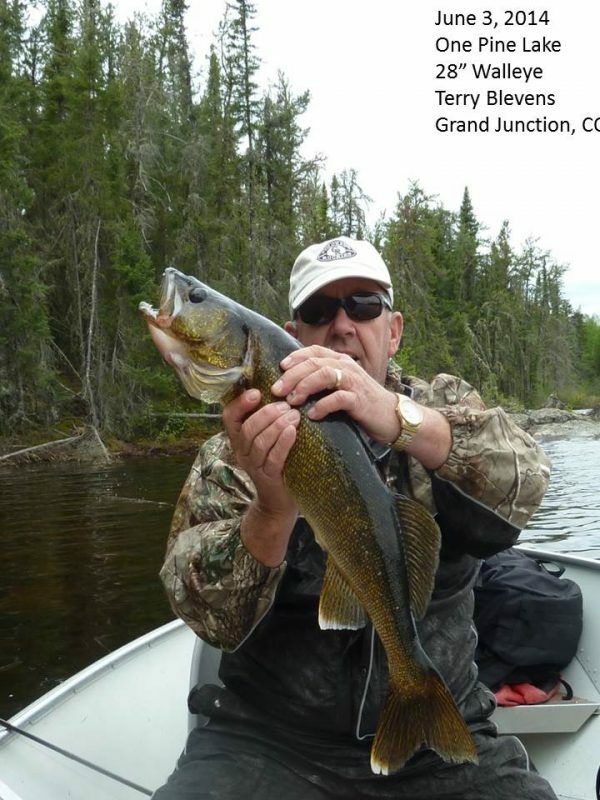 Terry reported that they also caught Walleyes at an average size of 22″-24″, which is just spectacular. The largest Walleye they brought in was 28″! The Blevens group also got a look at a cow moose – at about 800 lbs. she outweighed the fish but not by much! !